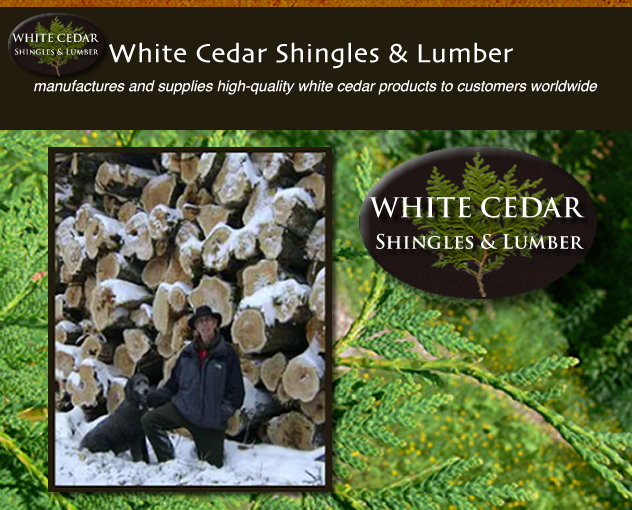 White Cedar Shingles & Lumber manufactures and supplies high-quality white cedar products to customers worldwide, and is the largest producer of white cedar shingles in the United States. Founded by Hobart Finn, the company is committed to should land management practices and responsible stewardship of natural resources. Through whole-tree utilization of sustainably harvested eastern white cedar from the forests of the upper Midwest, combined with efficient production techniques, WCSL produces some of the finest value-added wood products on the market at the most competitive prices. White Cedar's facilities are a few miles southeast of Superior, Wisconsin, off Wisconsin Hwy 53 on County Road E.
Hobart has sawdust in his blood. Like his great grandfather, an early 20th century sawmill entrepreneur who owned a schooner to ship product from his dock on the Keewanee Peninsula to the Chicago train yards, Hobart has a trucking company to move his raw materials and ship his product. He started his own sawmill in 1976, and, like his grandfather before him, developed a niche manufacturing white cedar shingles. In the early 1990's he sold his lumber interests to focus on a trucking company he still runs today. But his true love is cedar, and he couldn't resist the opportunity to start White Cedar Shingles & Lumber. By the way, the 100-year-old white cedar shingles that Hobart's great-grandfather used when he built the family homestead are still adorning it today.